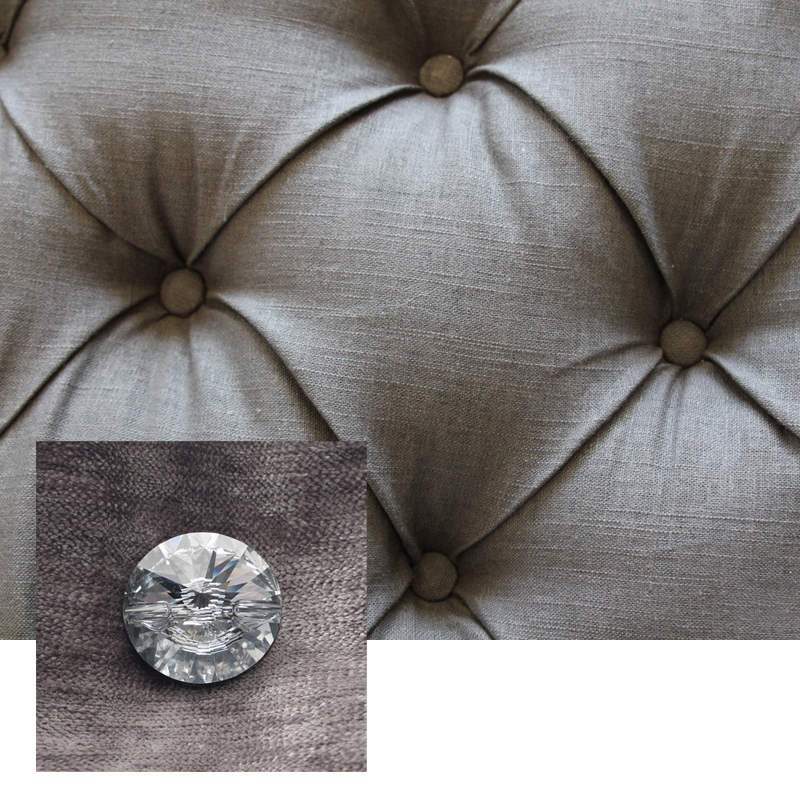 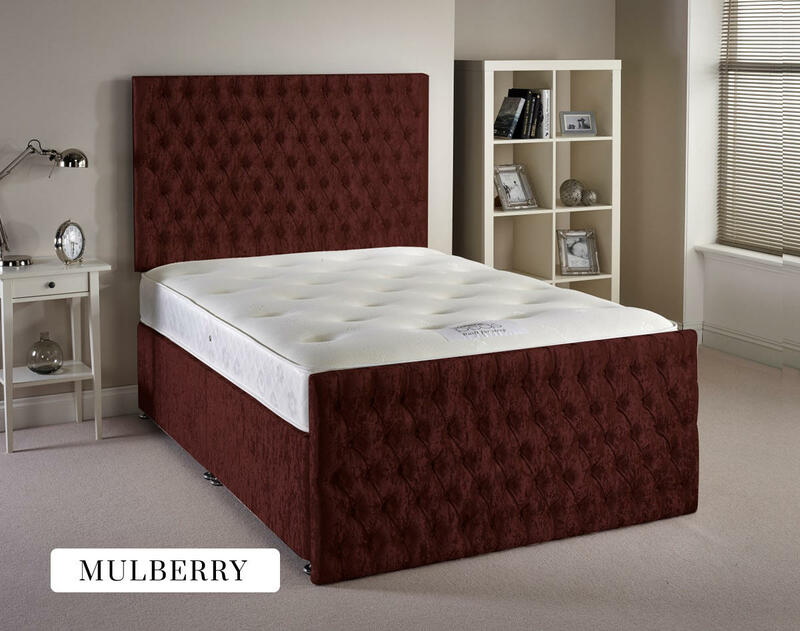 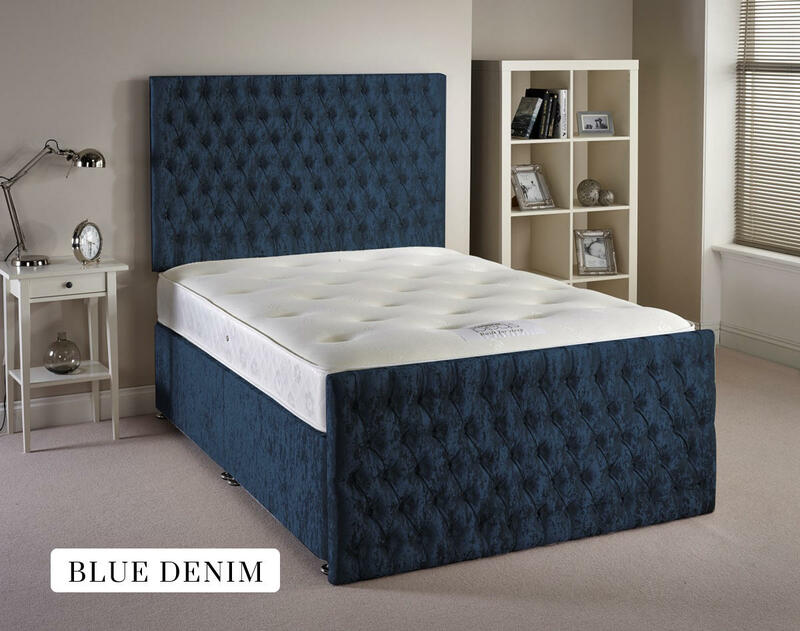 A truly luxurious divan bed frame with traditional, lovingly hand crafted in the UK and available in a choice of sumptuous velvet fabrics. 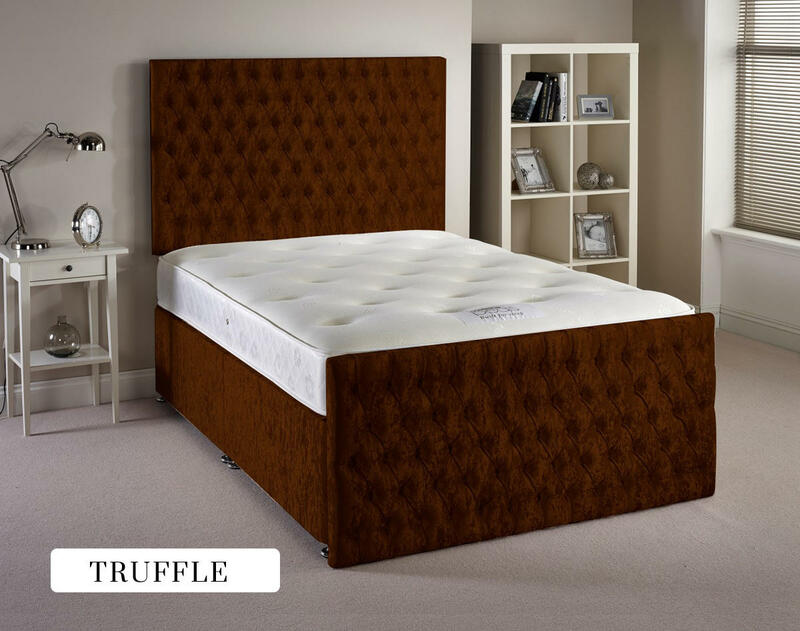 The Provincial bed frame is a superb looking, high quality divan bed frame. 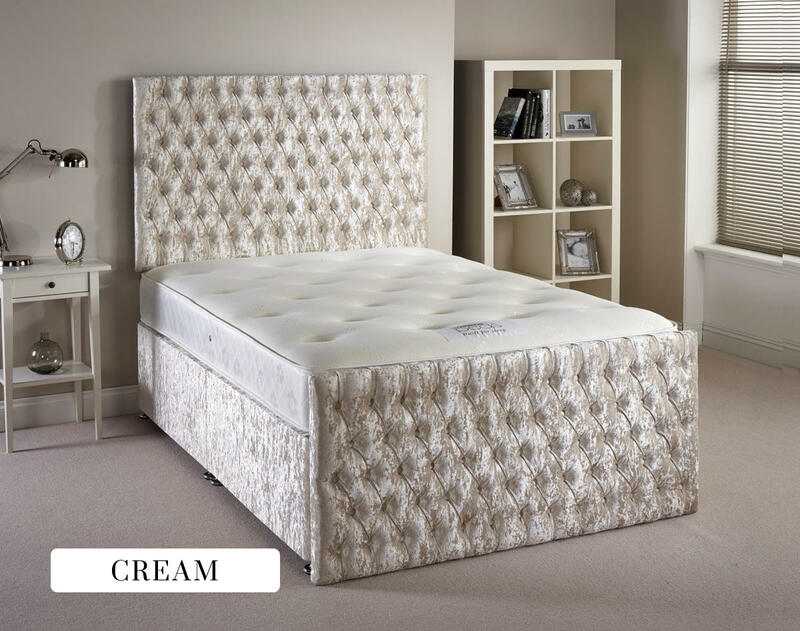 Featuring a hand tufted, buttoned headboard and footboard the Provincial bed exudes quality from first impression and continues to impress on closer inspection. 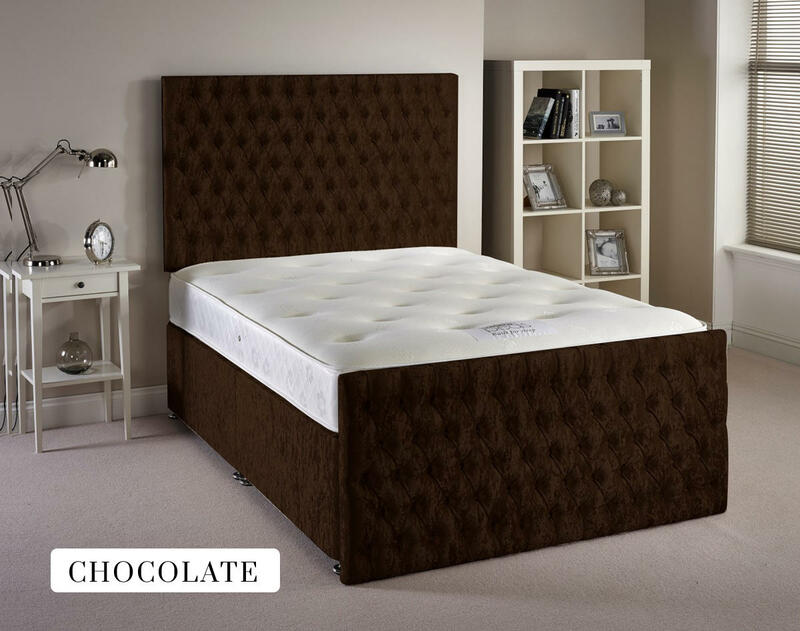 The headboard provides comfortable sort when sat up in the bed whilst the footboard gives the bed a premium look. 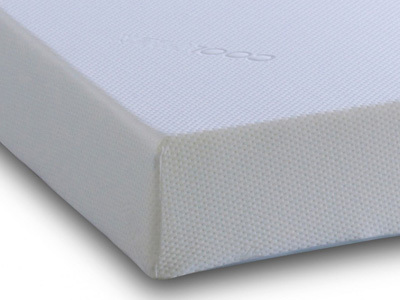 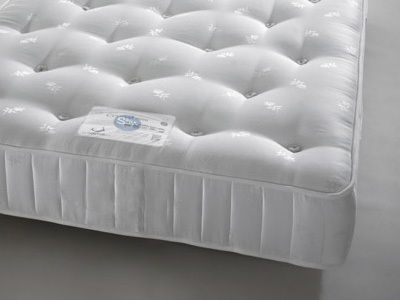 The build quality of the bed is superb, all of the raw materials and components are sourced from the UK or Europe. 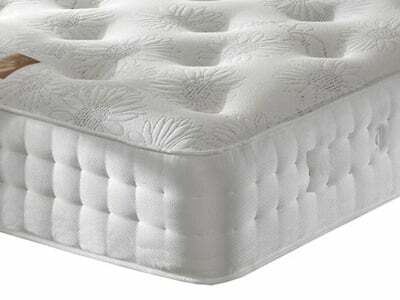 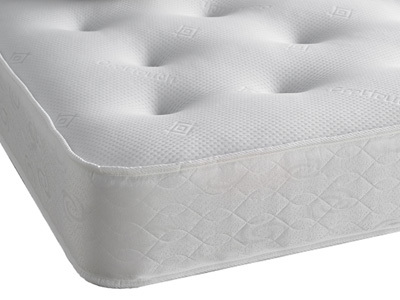 Each section of the bed feels sturdy and solid, the Provincial bed is quite simply built to last. 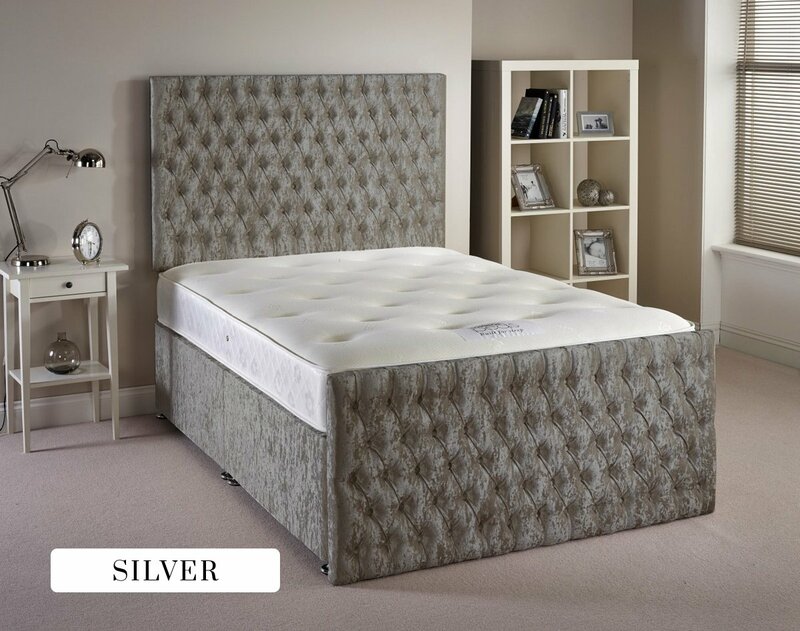 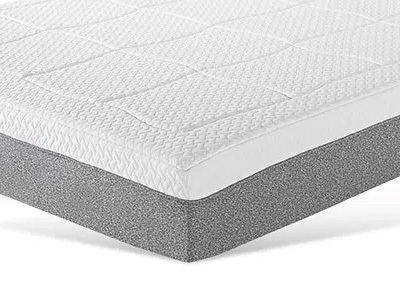 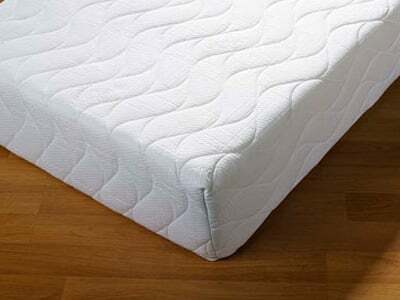 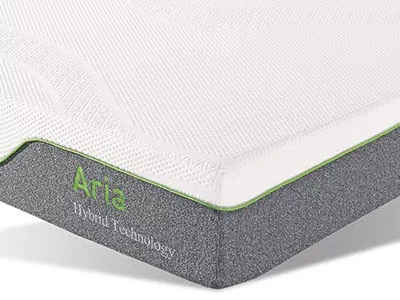 Discrete link bars are used to hold the two base sections together, located on the underside of the bed they are completely hidden from view helping to give the divan bed, a clean, bed frame style appearance. 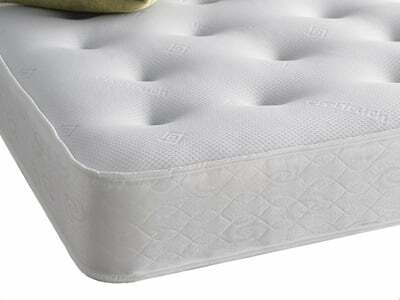 The base sections are mounted on chrome feet.